You are currently browsing the tag archive for the ‘LV-112 Nantucket’ tag. I’d planned something different for today, but then my inbox started to fill. And it makes me happy to feel a community building here. So . . . thanks all for reading and sending fotos and links. I wanted to go out taking fotos, but a pile of tasks told me to stay home. 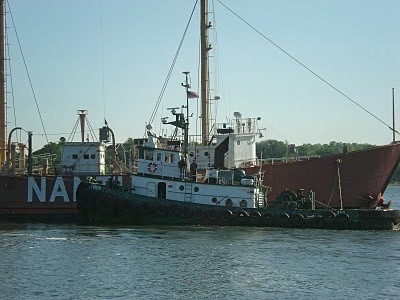 First, Ann O’Nymous sent me a link to Tugboat Tales, a fabulous documentary made by the late Bart Lawson back in 1991. This first-rate documentary is divided into parts one, two, and three. A click gets you to youtube. 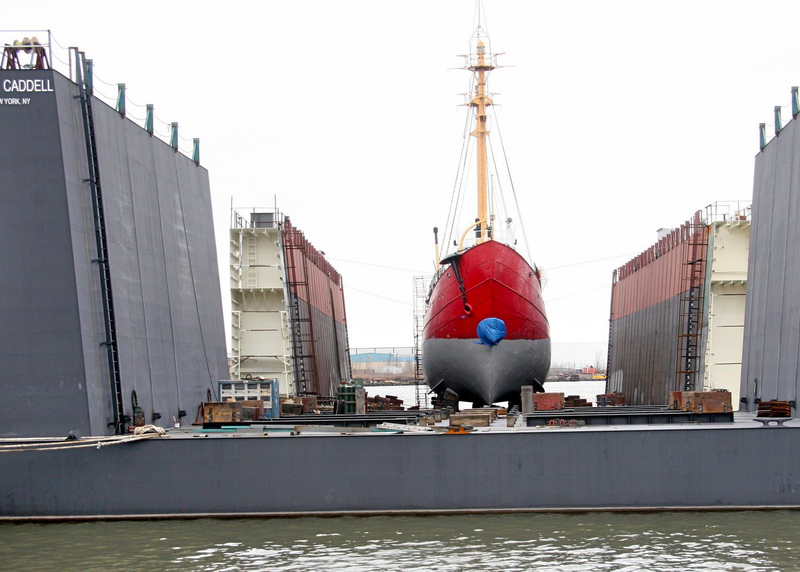 Next, harbor photographer extraordinaire John Watson went to check progress on Ambrose, and discovered the drydock had been floated out and reoriented 180 degrees, with the lightship on board. That would have been a sight to behold. Now here’s the bow . . as seen from shore. Given the wind, the blue belly over the mushroom anchor is clearly a blue tarp. 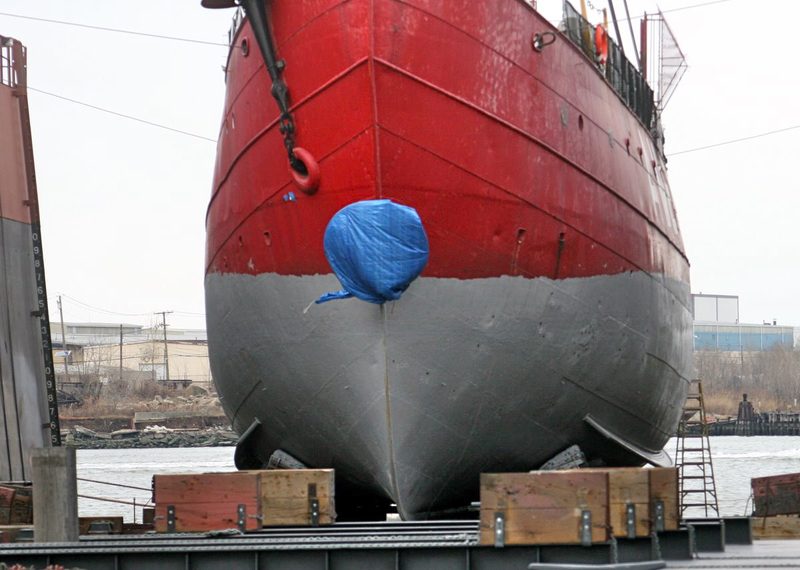 Next, from Allen Baker, this foto of a lightship undergoing restoration two hundred miles . . . downeast . . . well, in Boston. It’s LV-112, which last appeared in this blog almost two years ago. That info back in 2010 was passed along by Matt of Soundbounder. Check this link (Thanks to Rick) for many more fotos of LV-112. As I said, I stayed inside this morning, chomping at the bit because Orange Star was headed out. 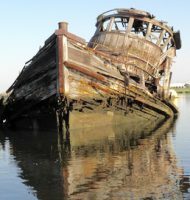 Had I realized that her sister vessel was coming in and that they’d cross not far from the Narrows, I would have “busted out.” Nothing could have kept me inside. Then, I got an email from bowsprite informing me that Orange Babe Wave had come into port, and I was beside myself. At which point . . . . I got an email from John Skelson, with attached fotos of Orange Wave!!! If you’re new to this blog, I’m a self-professed orangejuiceaholic. Here, thanks to A. Steven Toby is a link to the technology of these juice ships. And since this post has become a gallery of other people’s fotos, here’s another from Allen Baker. A little self-disclosure here: I moved to the Boston area in the mid-1980s. One day in 1986, I was walking near the Science Museum and saw two very tired tugboats there, Luna and Venus. The sad sight drew me in. To see these beauties in such an utter state of disintegration broke my heart. I thought both were doomed. Venus was clawed into matchsticks in 1995, and Luna very narrowly escaped the same fate. Read the much nuanced story here. Luna dates from 1930, the same year as W. O. Decker. I hope to see Luna again soon; too bad I didn’t carry a camera around back in 1986. And Decker brings the post to South Street Seaport, which I’m thrilled isexperiencing early springtime, frigid temperatures notwithstanding. Also, if you’ve been in NYC recently, you know it’s been a snowless winter so far; this foto was taken last year. I’ve always know the vessel below as Helen McAllister, but now I’m embarrassed to note that she’s also the ex-Admiral Dewey and Georgetown. I’d never realized that. Further, she came off the ways into the KVK in 1900, built at the same yard that produced Kristin Poling! 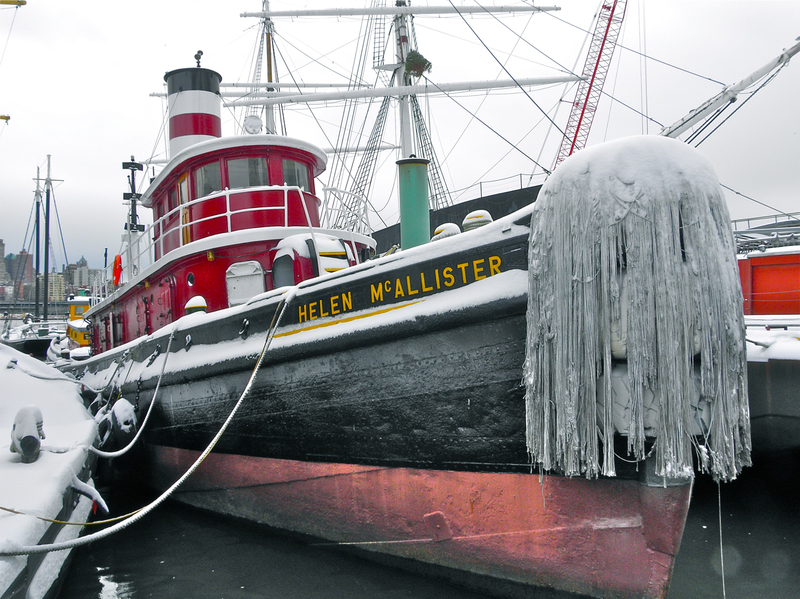 And this raises two questions: is Helen McAllister that last power vessel of that yard still extant? 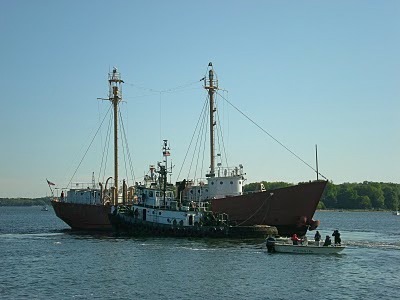 And, does anyone know of fotos of Helen McAllister that show her working during OpSail 1992. Which raises the question . 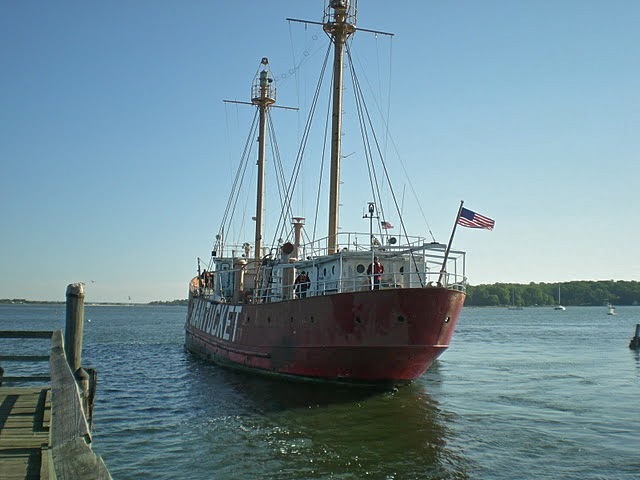 . . am I the only one NOT hearing talk of planning for OpSail 2012 New York? 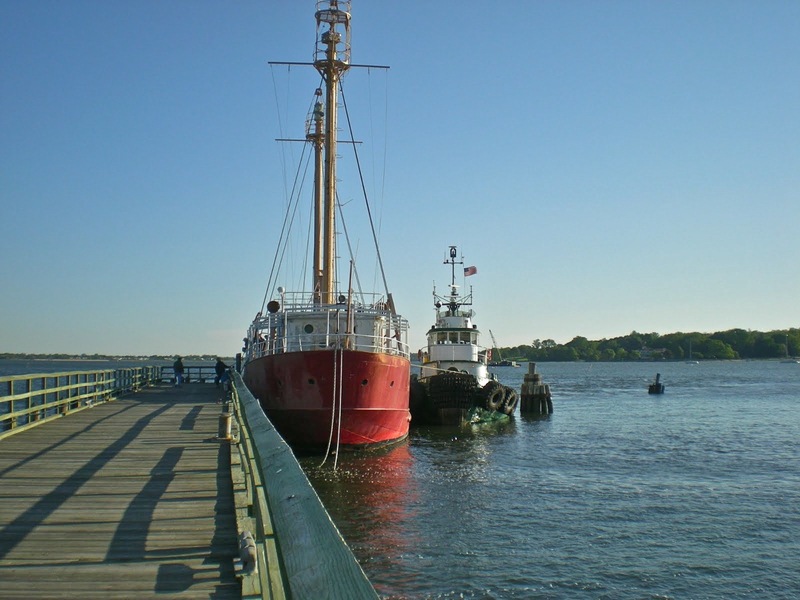 Both Ambrose and Admiral Dewey/Georgetown/Helen McAllister are listed on the National Register of Historic Places. It’s cold outside and tomorrow should be colder, so you could click on every link above and drink some hot tea. Did I complete many of my tasks today? No, but I had a ball with these fotos. Watching all three parts of Tug Tales will take about a half hour, but it is well worth the time. Thanks to Ann, John, Allen, bowsprite, Steven, and John for fotos and info. Finally, here are two other worthwhile places to check while emptying that pot of tea: Oil-Electric on “marine railroads” and a treasure trove of fotos from the National Maritime Museum on Flickr. Lynx of Constellation Maritime. Here’s the specs on Lynx. 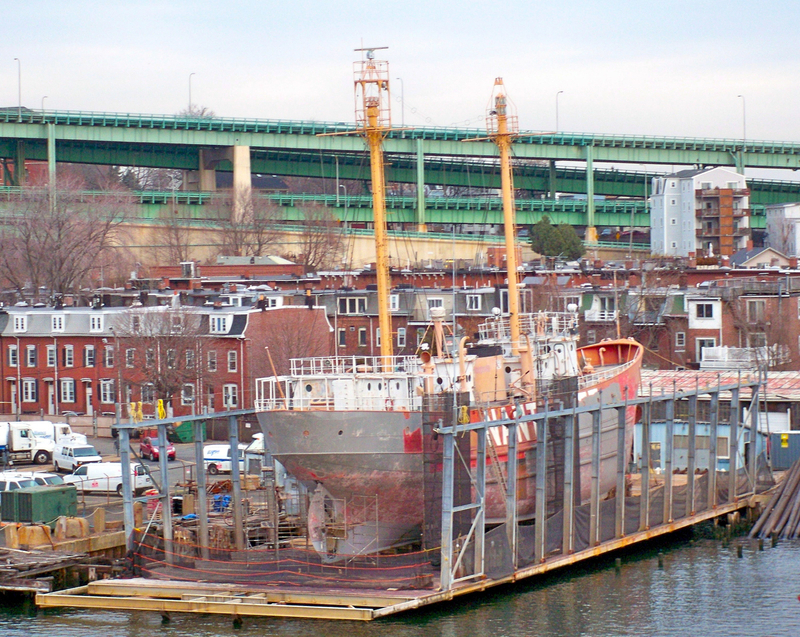 I wrote about a nimble Constellation boat sans propellers here. Arrival in Boston was 3 pm Tuesday. Here are some fascinating lightship links, starting with this one featuring dramatic art of LV-117 Nantucket rammed by RMS Olympic on May 15, 1934. Scroll all the way through and you’ll see info on LV-112 including that it spent 1942–1945 painted gray and patrolling off Maine. Also, an address is given there if you wish to contribute to the preservation effort. Amesbury, MA . . . my favorite waters, the Pow Wow River flows through Amesbury! Here’s a story from today’s Boston Globe. 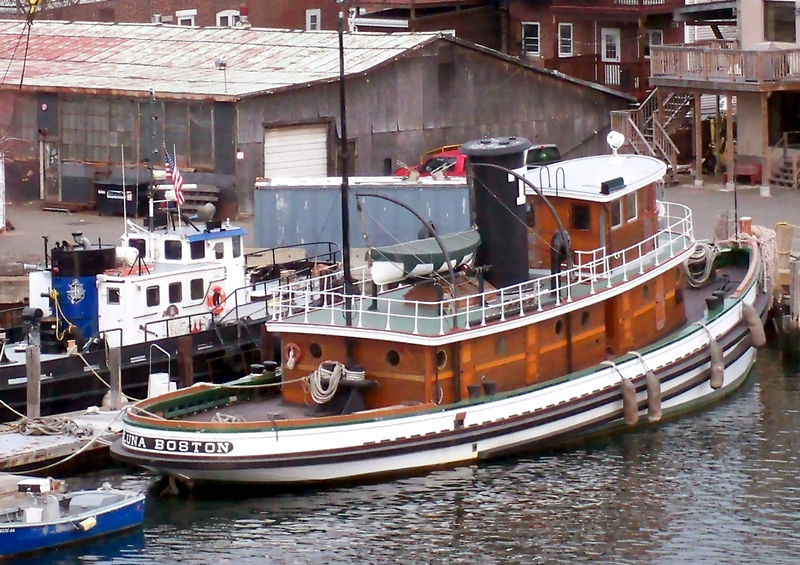 Here are some tugster links: WLV-612, 18 Lightships, and my own confusion. And of course . . . winter/summer solstice and my summer hangout . . . Frying Pan, rendered here in this exquisite drawing by . . . bowsprite! Thanks again, Lori and Matt.